The Millennium Modality® – Medical Intuition accredited Courses (MMMI) are facilitated by Jean Sheehan, Principal of the Millennium Education. The courses are about integrating life to pure potentiality and abundance, conscious living and an awakening a journey of self realisation and transformation to work from the heart. They provide you with the transformational tools and techniques required so that you can commence your journey of self-discovery to a new Millennium and dimension. It’s an innovation and learning in Medical Intuitive studies using Quantum Physics, new age sciences, Universal Mind consciousness, transformation and connection to true abundance. This process is about aligning to the ABSOLUTE integrating dualities to a ONENESS related to the I AM presence. Courses are conducted throughout Australia including; Brisbane and the Sunshine Coast in Queensland, Melbourne Victoria, Sydney. For all course dates and locations click here. 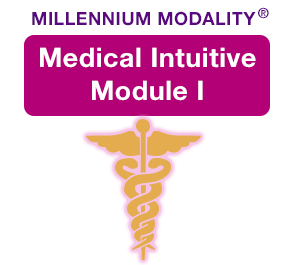 These Millennium Modality® – Medical Intuition (MMMI) Courses & Modules are designed so you will gain the understanding of what is happening in your mind, body and spirit on all levels and have the ability to heal it on a holistic level. The body is a physical manifestation of what is occurring on the inside and is a medium for expressing it’s disconnection from the ABSOLUTE. The human body is a blueprint for your most dominant thoughts. It is a print out of the internal vibration. Our bodies hold on to our experiences, thoughts and belief systems. The body is a reflection of our truth and shows our unconscious secrets. You will explore realities, let go of limiting beliefs, create a world of peace, harmony and abundance and SELF realise anything is possible. It is incorporates Sacred Geometry, DNA activation, Kundalini Energy and the Universal Mind consciousness. The outcomes are awareness of SELF, compassion for all, unconditional love and divine wisdom. Allow yourself to have a unique life full of peace and harmony, learn to make your life complete in all ways. Manifestation and transformation is instant. You become the author of your world to rewrite your ‘story’ and you biography becomes your biology. Millennium Modality® – Medical Intuition (MMMI) has been shared and taught over many life times and was the original teachings from the absolute knowledge. Ancient Sharman, teachers, high priestesses, priests and those in power have shared the knowing of the law of attraction, creation and oneness. This information has been repeatedly written about over the time of earth’s creation from hieroglyphics, crop circles, sounds of the whales and dolphins, cave paintings, books and now the IT world. There are specific times that are recorded in teachings this wisdom – Atlantis, Lemuria, Egypt, Medieval, Mayan and more. Each time the evolutionary process has occurred there was something not breaking through completely. It was the awareness of total potentiality and no separation that was not being completely understood or actioned. These teachings were then separated, hidden and altered over time. However in the new millennium (1999 – 2999,) the knowledge of creation and absolute truth, love and empowerment, have emerged with such a huge force and are ready to blossom and grow. This is seen in the existence of life in every day.